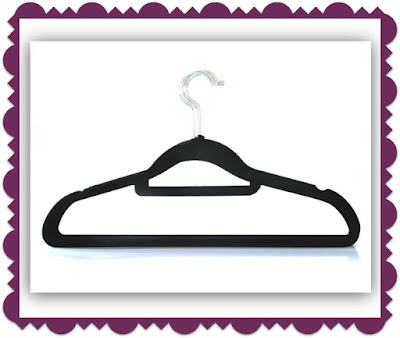 The BriaUSA Multi-Purpose Velvet Coat Hangers have sturdy steel swivel hook and are very sleek. With their velvet covering, you can easily hang your favorite strappy summer dresses without the dress falling and ending up wrinkled in the bottom of your closet. The hangers worked well for my sweaters, without leaving them misshapen and are sturdy enough to hang even the heaviest winter coat! These are full hangers, so you can hang an entire outfit on one hanger and shave precious closet space! A set of 10 BriaUSA Multi-Purpose Velvet Coat Hangers lists for $15.99, but are currently on sale for $8.99 on Amazon!